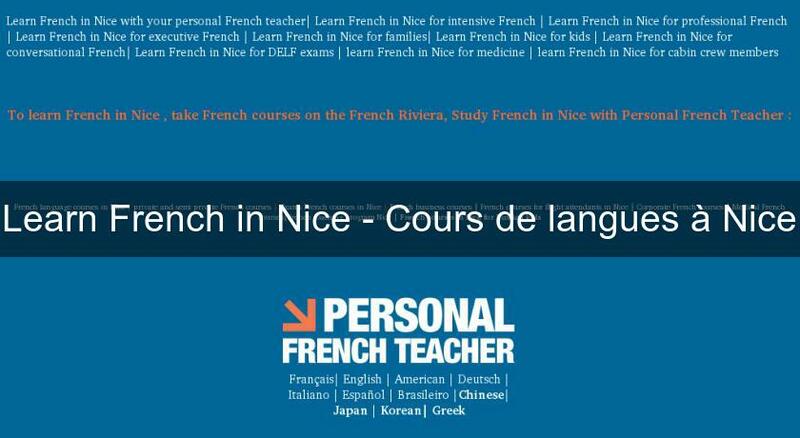 Superior French courses for foreigners at all levels in Nice. One-on-one instruction, joint tutorials courses. Customized courses, executive programs,discussion classes, courses tailored for Proficiency exams,online courses. General French and French lessons tailored towards specific subjects. Classes in companies, consulates, business offices.